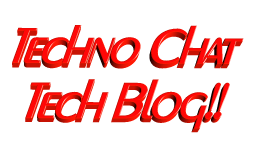 How to Quit Smoking | Techno Chat|Tech Blog!! Quit smoking is really tougher than we thought, but not Impossible. And If I can do it, I am pretty much sure that you can also do it. Today, I am going to share my experience with you on how I quit smoking. We always need some short of motivation to perform any task. This motivation could be anything, but if there was nothing to motivate, it is highly possible that you will end up with failure. So, if you really want to quit smoking, first you have to motivate yourself. If you are a smartphone user, you can download any of the following application depending on the OS installed on your smart phone. I personally use Windows Phone (I am a big fan too), so I downloaded the KickSmoking application. In this application (on others too) you can easily set basic details such as how many cigarette you smoke daily/weekly, from when you will quit smoking, how much one cigarette packet cost, and the currency. Once you configured the app, you can give it a try for quit smoking. Posted in Off-Topic, Others. Tagged Can Stop Smoking, Easy way to Stop Smoking, Guide To Quitting Smoking, How to Quit Smoking, I Quit Smoking, KickSmoking, Quit now - Smokefree, Quit Smoking Now, Stop Smoking, Supporting smokers to stop smoking, Want to Quit Smoking?, Ways to Quit Smoking. For additional help on installiation, open the readme.txt file on this hard drive.